defending patients against a lack of insurance oversight or consumer protection. In order to bring this promise to life, we have been working closely with Texas lawmakers to develop pro-patient legislation that promotes the health of people across the state. First is an essential protection for any Texan in need of emergency care. House Bill 1832, by Rep. Julie Johnson, D-Carrollton, and its companion, Senate Bill 1282, by Sen. Donna Campbell, R-New Braunfels, would prohibit health insurance companies operating in Texas from implementing any practice that renders coverage for emergency services dependent upon a final diagnosis, rather than the symptoms that caused the patient to seek emergency care in the first place. These measures protect patients who think they are having an emergency — like chest pains they fear might be heart attacks, but turn out to be acid reflux — from having to bear the entire cost of an emergency room visit. We must shield patients against intimidation from seeking care at the nearest ER for fear they will be denied coverage for life-saving care. Often, patients are advised to “wait until morning and see their primary care doctor” or to visit an urgent care center instead of seeking emergency medical care they may direly need. House Bill 1278, by Rep. James White, R-Hillister, would update Texas law — via Chapter 254 of the Health and Safety Code — to recognize that freestanding emergency clinics have the ability to provide access to outpatient care services to patients across the state. House Bill 1914, by Rep. Joe Moody, D-El Paso, addresses the prompt payment of health insurance claims, ensuring that all emergency care providers are reimbursed in a timely manner for the excellent, life-saving emergency care they provide. Our industry strongly supports legislation that prohibits health insurance companies from steering patients away from the closest and best option for emergency care, allowing Texans to seek emergency care at any licensed emergency care facility. Senate Bill 1054, by Sen. Jose Menendez, D-San Antonio, and its companion, House Bill 4404 by Rep. Rick Miller, R-Sugar Land, serve as an anti-patient steering effort that aims to protect patient access to ER care by limiting deceptive and misleading directions issued by insurance corporations. 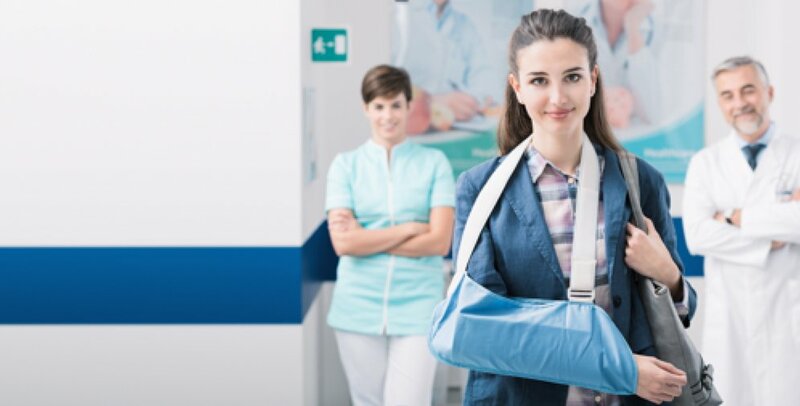 We believe that emergency care providers that are in-network with insurance companies should be allowed to inform their patients about which insurers they are contracted with. Unfortunately, some insurance companies have tried to restrict emergency care centers from communicating about their in-network status — which can lead to unnecessary patient confusion. Senate Bill 1052, by Menendez would, whenever applicable, permit emergency care providers to clearly communicate with patients that their facility is in-network. Over much of the past decade, the nation’s largest insurance companies have increasingly sought to restrict patients’ access to high-quality emergency care, steering them to lower-quality or more distant care options while also delaying or underpaying claims. These practices jeopardize the health and wellbeing of Texas patients and their families. We are fighting to protect Texans’ health, and invite the support of citizens who believe, as we do, that we must put patients first. Texas, we’ve got you covered!